Once author’s paper is accepted for publish in IJEDR Journal, the registration for publication phase begins. Author have to pay the publication charges according to author’s category only. It is mandatory that at least one author of an accepted paper may register in order for the paper to appear in the Journal publication Issue. If an author has got more than one accepted papers, then authors have to pay the payment as paper wise individual. Authors have to pay the publication fees in the IJEDR Account only OR through our PayUMoney/instamojo Payment Link. 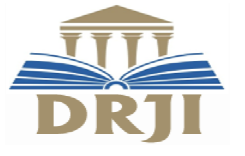 Indexed by Google scholar, DRJI, academia.edu, and many more. We will send Hardcopy of certificates (Author wise individually), single copy of Confirmation letter and single copy of Published paper to only corresponding author only. Kindly check all the details in softcopy. (i.e. in Published paper, E-Copy of certificate, E-Copy of confirmation letter) And if any of the details is inappropriate then inform to us within 3 days of this mail. Once shipment of hardcopy done then we will not correct it. We will process your hardcopy only after receiving Address details. or considered your provided address details as correct. Process of dispatching the hardcopy will be take minimum 1 month to maximum 2 months (only in the case of heavy load) we will dispatch certificate between date 25 to 31 of every month. By default, ALL THE PAYMENTS ARE NON-REFUNDABLE. "No-shows" or “Extra-Page Payment” or “Excess Payment” or “Additional Payment” are not refundable and liable; and will be considered as the donations. But under the genuine consideration of refund request not later than 2 days prior to the Registration Closing date shall be processed with the applicable cancellation fee. 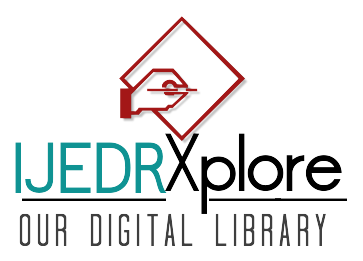 All refund e-mail requests must be submitted to editor@ijedr.org. Request for refunds postmarked after the Registration Closing date will not be accepted. IJEDR has the discretion to update this policy at any time. When we do, we will revise the updated date at the bottom of this page. We encourage you to frequently check this page for any changes. You acknowledge and agree that it is your responsibility to review this policy periodically and become aware of modifications.